With Ford and Jeep also on the electrified bandwagon, the all-American pickup truck segment is heating up. 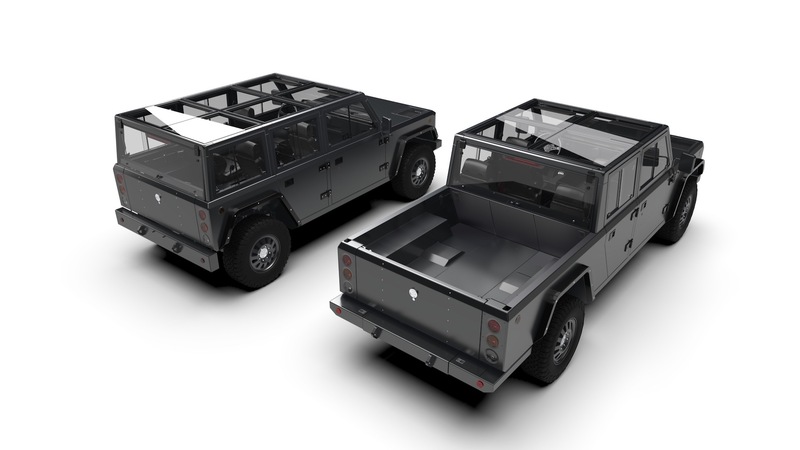 American electric vehicle manufacturer Bollinger Motors pulled the wraps off its newest creation: the B2 pickup truck. 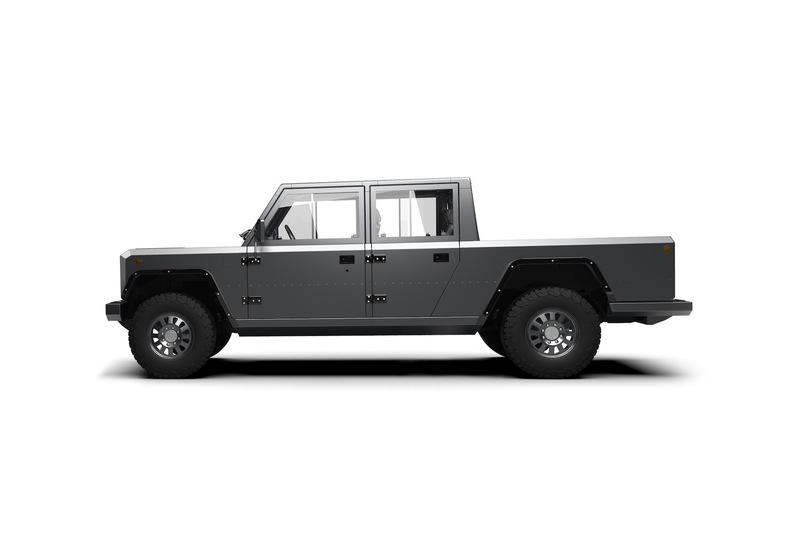 The B2 is basically the B1's identical twin, but it features a truck bed rather than an SUV-style covered rear. According to a statement released by the company, the images you see here of the B2 aren't of a real prototype, but of a CAD rendering designed in-house. 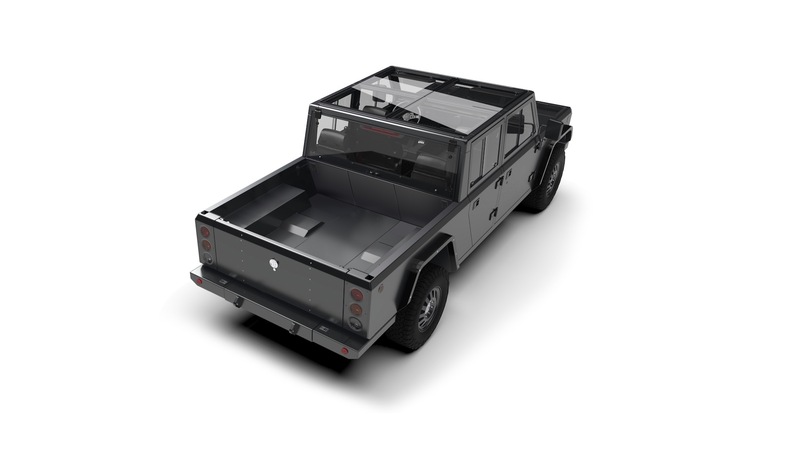 Just like the B1, the B2 utilizes two electric motors powered by a 120-kWh battery pack to haul future owners and all of their work or leisure equipment wherever they desire. In addition, the company's electric all-wheel-drive system and hydropneumatic suspension will allow it to traverse rough terrain and even climb through large obstacles just like a "normal" off-road inspired crossover or SUV. A Class 3 work truck rating awards the B2 a 10,001-pound gross vehicle weight rating (GVWR) and a hauling capacity of 5, 000 pounds, according to Bollinger. And because this is, after all, a pickup truck, a truck bed that measures 49-inches wide and 69-inches long dominates the rear. 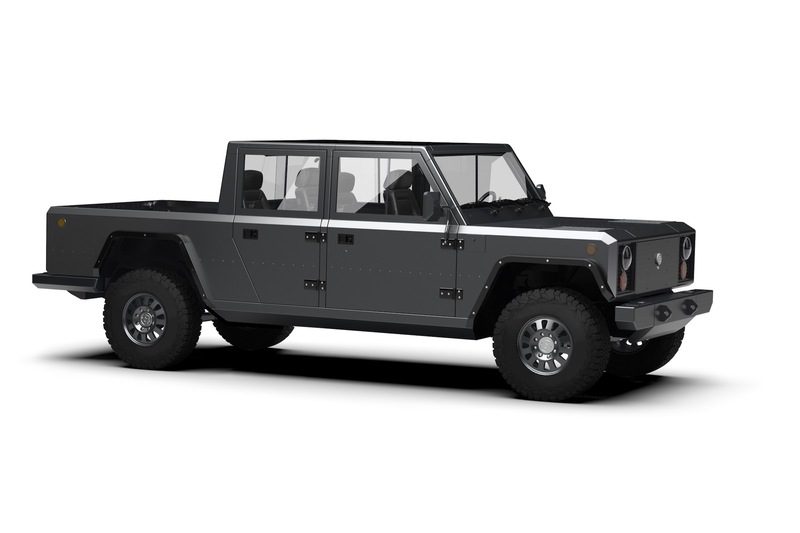 Plus, it awards the B2 a seriously cool look, one that could soon be rivaled by a Jeep Wrangler pickup truck dubbed the Scrambler, or maybe even the 2020 Ford Bronco. 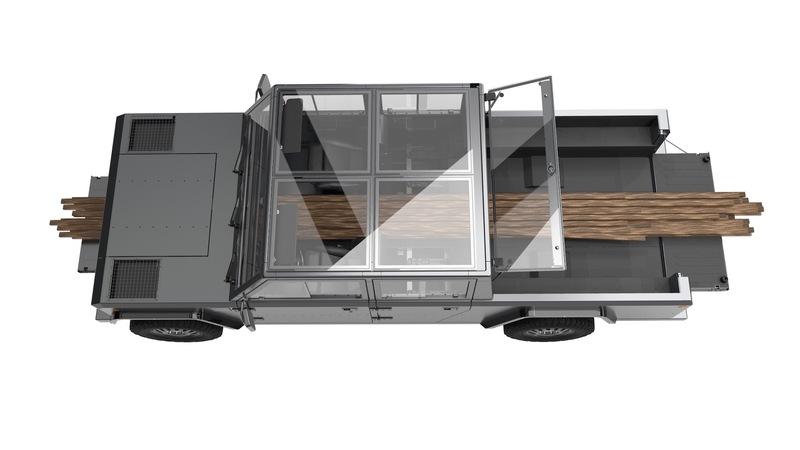 With the internal cab tailgate down, the B2 can carry full 4x8 sheets of plywood. The rear glass also opens up like in the B1, which allows storage to the top of the cab and accommodates 72 sheets of 0.5-inch-thick plywood. With Ford readying production of its first-ever plug-in hybrid F-150 and Jeep ramping up development of a hybrid engine for the Wrangler (that could be transplanted into the Scrambler), it appears that the pickup truck segment is about to be severely electrified. Bollinger will release more details of the B2 in 2019.